With sales of motorcycles increasing in the Indian market by a huge margin, more riders are hitting the roads to explore the beauty of our country on two-wheels. This has given rise to many motorcycle tour entities which organise rides and take care of all the logistics for the rider. The latest entrant in this market, in the country, is EagleRider Inc. which has set up its first franchise in India in Delhi. EagleRider was established in 1992 and is among the most popular names in the motorcycle tours industry globally. The EagleRider India franchise is owned by Samar JS Sodhi who is the founder of Big Motorcycle Company. 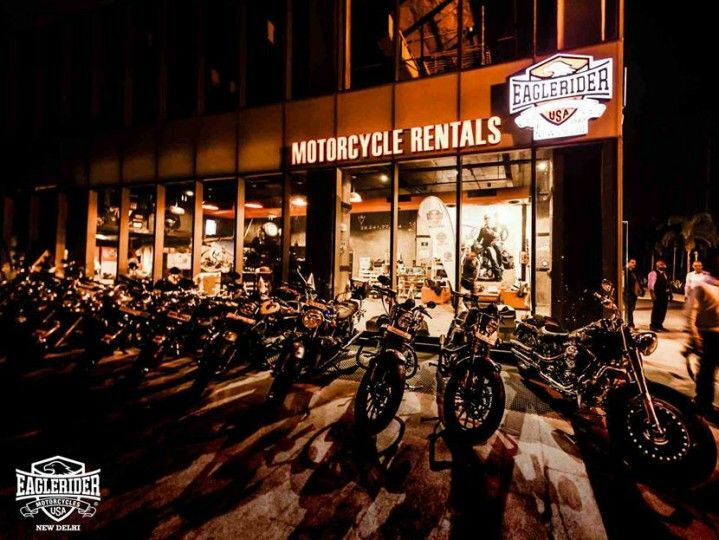 What sets EagleRider apart from its rivals is the fact that it has a fleet of premium motorcycles for rent that includes Harley-Davidson and Triumph along with Royal Enfield. EagleRider will provide bikers pre-guided or tailor-made motorcycle tours. The rides will not be restricted to India and bikers can explore neighbouring countries like Nepal, Bhutan and Myanmar. The premium range of motorcycles can be rented on daily basis or longer durations. The riders get a DOT certified open face helmet free for the ride while they also have an option of renting riding gears, cameras and GPS. For long-distance rides, the EagleRider India staff will equip the motorcycles with saddle bags and for larger groups there will be a chase van carrying luggage, spares, medical first aid kit, tech support etc. The store has been located conveniently, near the Delhi airport. Share your experiences with SOFTAIL?